South African state power utility Eskom said on Monday that it would implement controlled power cuts for a second day in a row because of a shortage of generating capacity in the southern African nation. The state power utility said it would cut 2,000 megawatts from the national grid from 07:00 GMT, likely until 20:00 GMT. In his state of the nation address to Parliament last week, President Cyril Ramaphosa said cash-strapped Eskom would be divided into “generation”, “transmission”, and “distribution” entities as part of a new business model to help turn it around. Ramaphosa acknowledged Eskom was in crisis and posed a significant risk to the South African economy, requiring bold decisions that would not affect the country’s sovereign credit rating. South African labor unions condemned the plan announced by the President, fearing that the move would threaten jobs. The National Union of Mineworkers (NUM) also vowed to fight the Eskom plans “tooth and nail”, saying the plans would ultimately only benefit the rich. 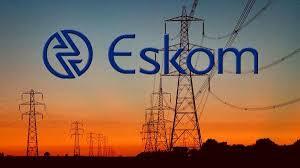 Eskom is in a deep financial and operational crisis‚ with a debt burden of R419bn‚ which it is unable to service from the revenue it earns. It is also straining to keep the lights on‚ with multiple breakdowns of its old plant due to neglected maintenance.